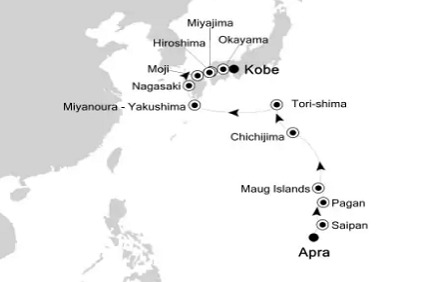 13 Night Cruise sailing from Apra to Kobe aboard Silver Explorer. 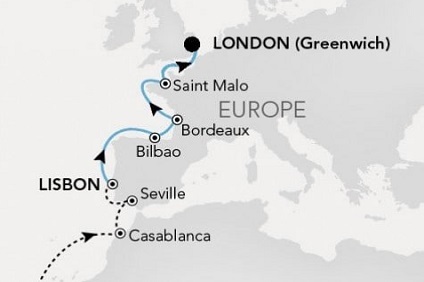 12 Night Cruise sailing from Lisbon to Amsterdam aboard Silver Cloud. 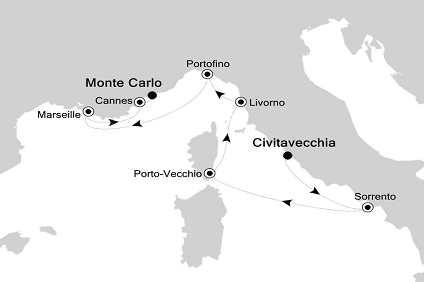 7 Night Cruise sailing from Rome to Monte Carlo aboard Silver Spirit. 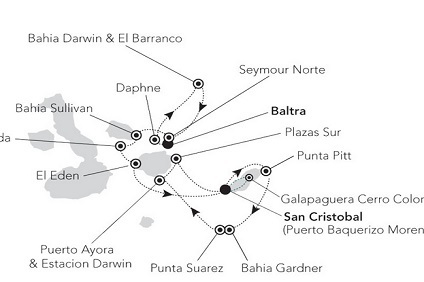 7 Night cruise sailing from Baltra to San Cristobal onboard Silver Galapagos. 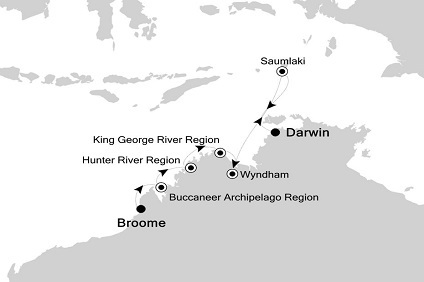 10 Night Cruise sailing from Broome to Darwin aboard Silver Discoverer. 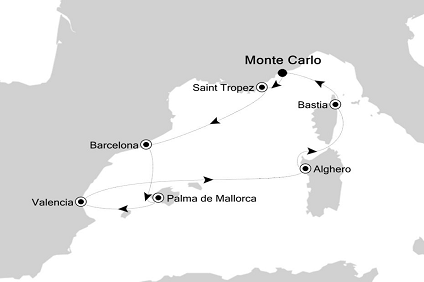 9 Night Cruise sailing from Monte Carlo roundtrip aboard Silver Spirit. 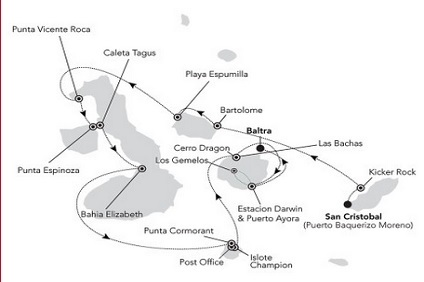 7 Night cruise sailing from San Cristobal to Baltra onboard Silver Galapagos. 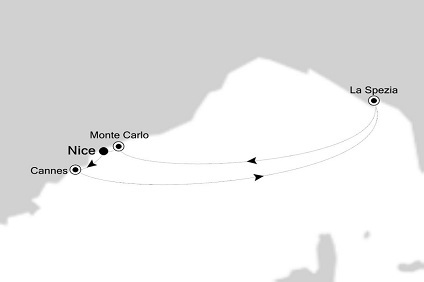 8 Night Cruise sailing from Lisbon to Greenwich aboard Silver Whisper. 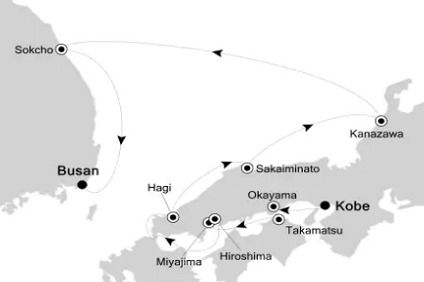 9 Night Cruise sailing from Kobe to Busan aboard Silver Explorer. 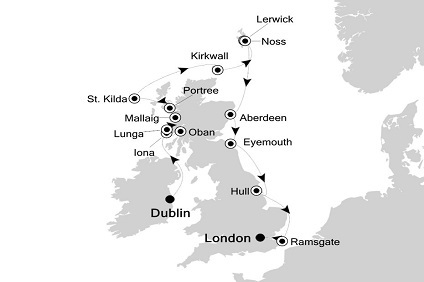 10 Night Cruise sailing from Amsterdam to Dublin aboard Silver Cloud. 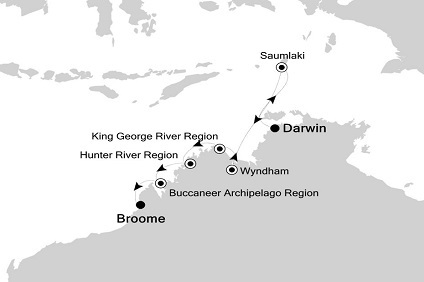 10 Night Cruise sailing from Darwin to Broome aboard Silver Discoverer. 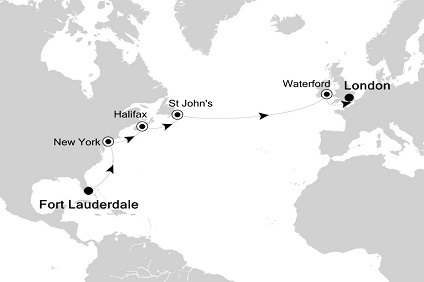 14 Night Cruise sailing from London roundtrip aboard Silver Wind. 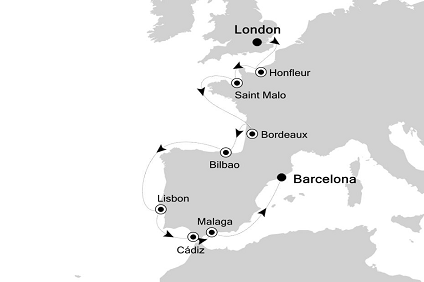 14 Night Mediterranean Cruise sailing from London to Barcelona aboard Silver Whisper. 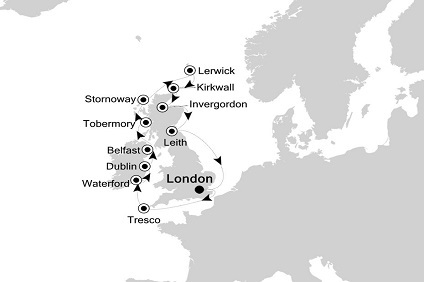 12 Night Cruise sailing from Dublin to London aboard Silver Cloud. 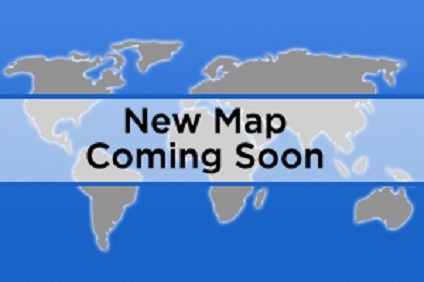 As your ship changes latitude and longitude, the menu changes to reflect the flavors of the region. The main event: inspired dining. Step into The Restaurant and you know you've arrived for a very special dining experience. The Restaurant is elegant, but not stuffy. The European-trained waiters are attentive and personable. The finest wines from an extensive list are carefully chosen and poured into sparkling European crystal glasses. Polished Christofle silverware is laid on crisp linens. The stage is now set for the main event: inspired dishes created by Silversea's Master Chefs. These dishes are complemented by those of La Collection du Monde, created by the world-class chefs of culinary partner Relais & Châteaux. Marked by innovation and creativity, you're sure to enjoy these epicurean delights and a dining experience that rivals the best restaurants the world over. Evening menus allow guests to sample a variety of dishes from the Silversea Signature Series which combine classic French cooking techniques with the savory spices and sumptuous fare of foreign lands. For lovers of authentic Italian cuisine, the ship's Terrace Café is transformed each evening into the alternative dining venue "Cucina Italiana" featuring delectable dishes from the different regions of Italy. Silversea also offers "Light & Healthy Cuisine" for guests wishing alternate menu selections for a low fat, low cholesterol and low sodium diet. 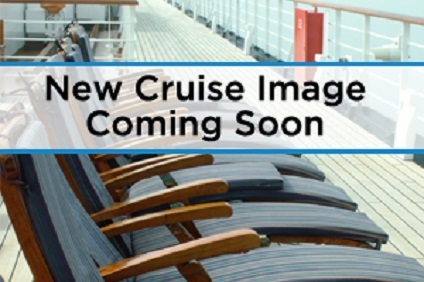 The ships feature single seating dining so that guests may dine when and with whom they wish. Gratuities are included in your cruise fare. No additional tipping is required or expected. The Silver Explorer cannot accommodate infants under the age of 1 year. Silversea Cloud, Silver Wind, Silver Shadow, Silver Whisper and Silver Spirit cannot accommodate infants under the age of 6 months. Guests must notify Silversea of any children between the ages of 6 months and 1 year who will be sailing on board the ship. A signed and notarised waiver will be required for all children between these ages. Although Silversea accepts guests over the age of 6 months (over the age of 1 year for Silversea Expeditions), there are no special programmes for children on board, and Silversea does not provide for the care, entertainment or supervision of children. Silversea reserves the right to limit the number of children less than 3 years of age. 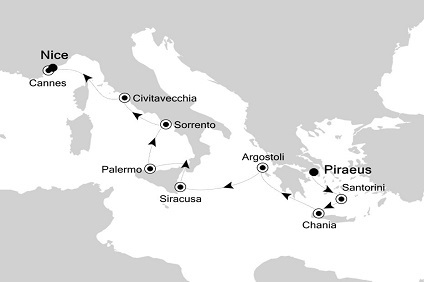 In addition, the Zodiacs used for Silversea Expeditions are unable to accommodate children younger than 6 years of age. As Silversea does not provide babysitting services, an adult family member will be required to remain on board the Silver Explorer with their child(ren) during Zodiac excursions.